Always be ready and alert at home, especially for different health emergencies that can occur. The medicine kit is your ally in being able to provide immediate relief and care for your loved ones whenever any health issue arises, especially the minor ones. 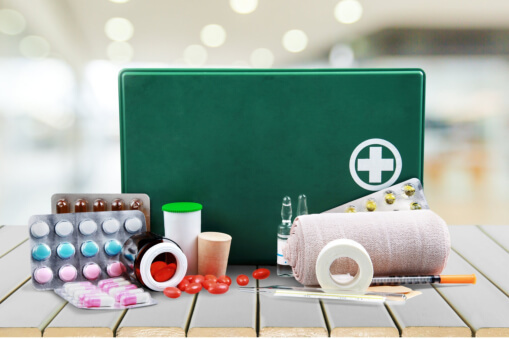 As a compounding pharmacy in Palm Springs, Florida, let us share with you the basic list of medications to include in your medicine kit to be ready for health emergencies. Incidences of pain can disrupt you or a family member in their responsibilities and tasks at home. But with pain relievers available, these pains can be managed efficiently. Acetaminophen is a pain reliever that can help address basic pain issues and is recommended for your regular storage. There will be instances at home when you will become too excited in your meals that indigestion occurs. This can happen during special events or holidays and you would not want to be a spoiler of the fun. Keeping these medicines can help you give life to the party. It’s very distressing to be disturbed by a dry cough, especially with the sound it makes. At the same time, you will also feel broken-hearted when the person suffering this is your child or your elderly loved one. Medicines such as Guaifenesin can help relieve these types of cough. Diarrhea and loose bowel movements can happen without you wanting them to. While there are many causes for this, you would want to put a speedy relief on this condition, especially as this can lead to dehydration. Loperamide medicines should be kept in stock at home to quickly address this condition. When your family members often have allergic reactions to their triggers, keeping antihistamine treatments in your medicine kit is indeed a practical move. Whether it’s a tablet or topical cream, relief from allergies can provide great comfort for you or your family member. You can’t help but encounter minor accidents at home, especially if you have little ones. There will be scratches, scrapes, and cuts every once in a while. Store wound cleansers, gauze, and other wound care necessities to keep it from being infected. Some of our family members may have sensitive skin, particularly the infants and the elderly. Being prepared for occurrences of rashes can keep these skin issues from getting worse. Topical hydrocortisone can provide relief to rashes and help reduce the itchy feeling. For suspicious looking rashes, don’t hesitate to have these checked with a doctor. With our Affordable Pharmacy in West Palm Beach, you can have access to these medications for your regular first-aid supply at home. Our pharmacists at Palms Pharmacy are friendly and accommodating and we can answer questions that you may have. If you find this post helpful, please don’t forget to click share to forward to your friend or family member. This entry was posted in Medicine Kit and tagged Health, Health Emergencies, Medications. Bookmark the permalink.